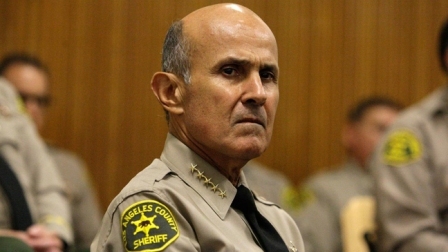 The Board of Supervisors voted Tuesday not to indemnify former Sheriff Lee Baca for $100,000 in punitive damages awarded as part of a 2013 jail beating verdict, but agreed to cover $65,000 in payments owed by three deputies and one captain involved. Jurors held Baca personally liable in the case of plaintiff Tyler Willis, who was beaten by deputies while housed at Men's Central Jail awaiting trial in 2009. Jurors found that all five defendants — including Deputies Anthony Vasquez, Mark Farino and Pedro Guerrero and former Capt. Daniel Cruz — acted in “malicious, oppressive or in reckless disregard” of Willis’ rights. The defendants agreed to split responsibility for the total $165,000 in punitive damages, with Baca taking the lion’s share, the Los Angeles Times reported. The board’s unanimous decision was made in a closed-door session. Willis’ attorney has threatened to place a lien on Baca’s assets if he doesn’t pay up.